Tweet The movie "Centurion" opens in theaters this Friday, August 27th. It is also available on VOD, Amazon, Xbox Live, Playstation Network and VUDU. The poster art for the film was done by renowned artist Simon Bisley. Bisley recently took time to talk about his work, the poster and the process behind it. Q - First of all, why did you decide to get into art? A - I have always been in to art for as long as I can remember. I was drawing as soon as I could grip a pencil. Q - Who were your early inspirations? A - My early inspirations go back so far that it's not easy to remember - when I was little I do remember being inspired by animals – especially lions, gorillas and crocodiles. The first image I created when I was 6, St. George and the Dragon, caused quite a stir at school. I was too young to understand the excitement of the teachers and my parents. When I was a teenager it was the stories by R E Howard, Mary Shelley's "Frankenstein" and Edgar Rice Burrough's "Tarzan" that really inspired me but eventually I saw Frank Frazetta's work and that was the thing that really set me on fire. I knew that that was the way I wanted to paint. Q - Your work has a comic book and album cover feel. Was this how you wanted your work to be or did it just evolve into it when you were developing your style? A - It just evolved as I developed my style. It's all about the over the top emotion and the dramatic with softer more subtle values. Q - Where did you learn your craft? A - I am self taught - absorbing things I have seen and experienced in my life. The thing is not just about looking; it is also about living life. You can paint something much better if you've experienced something of what you are illustrating. Q - When you decide how the art will look visually, what is the process for getting it from idea to canvas? A - With as little pre-prep as possible because I want to save all the energy for the final painting. For this poster I watched the movie and drew sketches from it. The client would then ask for changes or suggest other ideas and I would redraw or alter until everyone was happy and the drawing approved. 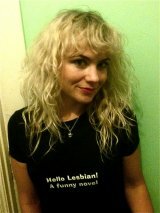 Then I would nail it!! 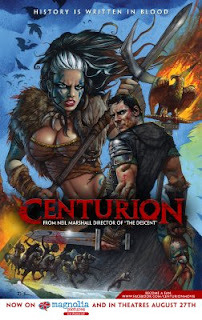 Q - Your latest project is for Neil Marshall's "Centurion." How did this come about? Q - Did you have guidelines for "Centurion" or was it free reign? A - I had a free reign on this, which I was glad of. The whole process went really smooth and trouble free. I enjoyed working on the painting because I felt they had trust in me to deliver so I respected them for that. If they wanted anything changed or added it was requested in such a way that my enthusiasm was not dampened. Good job, good team effort. A - Thanks for taking an interest in my work. Now go watch the movie, folks. Simon Bisley is best known for his 1990’s work on ABC Warriors, Lobo and Sláine.